Winters in New England can be brutal, especially when we have to deal with one snowstorm after another. Once that snow gets taken off the streets, it can pile up—in commercial parking lots, airports, municipal properties and elsewhere—and often hangs around until the spring thaw. So what do you do about that frozen mountain of snow on your property? Delays in snow removal can directly and indirectly result in a significant loss of revenue. There are also the extra transportation costs to consider. Delays can cause a lot of hassles. With budgets for snow removal usually strained to the limit, it can be a financial strain to haul all that snow to another location. On average, it takes about one hour to remove six tons of snow. But navigating trucks through the city after a snowfall can be difficult and take up even more time. And you know the old saying: Time is money! 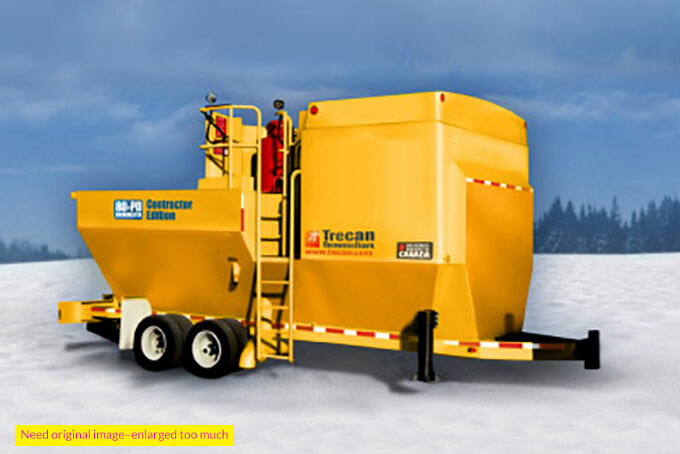 After a snowstorm, Diamond Landscapes & Athletic Fields can deploy a 19,000-pound snow-melting trailer truck with the capacity to melt 60 tons of snow per hour. Our snow melting system can be dispatched directly to the area where snow management problems are the greatest. Once we arrive, snow will be dumped into the back of the truck and melted with 1,000-gallons of hot water. The liquid is passed through filters to remove impurities and then discharged into storm drains or sewers. If coping with mounds of snow on your property is an issue for you, please contact us, and we will be glad to provide you with more details. We can enroll you as a customer and be on call for you when the next big snowfall arrives in Connecticut.